The moving, heart-wrenching, and painful story that is Eimear McBride’s A Girl is a Half-formed Thing won the Goldsmiths Prize, Bailey’s Women’s Prize, Kerry Group Award, Desmond Elliott Prize, and was shortlisted for the Folio Prize. So it might be surprising for some to learn that it took McBride nine years to find a publisher for her critically acclaimed and arguably industry-changing book. Galley Beggar Press of Norwich finally picked it up in 2013 (with Faber signing on to publish the paperback and ebook editions in 2014). It’s been a long, hard journey for McBride and her story of a girl doing her best to cope with her family, her brother’s illness, and the difficulties life is throwing her way. Yes, Eimear McBride’s debut novel is experimental, something for which it has been praised time and again, but that isn’t all it is. It pushes the boundaries of the novel form, it’s told stream of consciousness style, it’s unconcerned with grammar, it spans twenty years…It’s gutsy. McBride takes risks with the form that are even more impressive when one considers she’s a debut novelist. And those are no doubt the reasons she had so much trouble finding a publisher. But beyond the heroics it performs, it is at its heart a story about a girl, a story that makes the reader feel things she didn’t know she could feel, that puts the reader in the mind of the protagonist. These are feats (ones with which even many veteran writers struggle) more impressive than McBride’s unconventional prose. The form doesn’t distract or detract, because the reader is so engrossed with the story at hand. The range of emotions McBride manages to induce in the reader is unparalleled by anything in recent memory. I can’t begin to list them, and many cannot even be named. To make the reader feel heart-ache, agony, physical discomfort, nausea, and so much more would be simply unbelievable if it weren’t McBride doing it, if it weren’t this story. Reading A Girl is a Half-formed Thing is work. But it’s the type of work that one really enjoys, like spending hours preparing that difficult-to-make but perfect meal. It isn’t for the lazy reader; it’s for the one who is willing to work a little to be fully transported to another world, a world in which it is often difficult to be. The general consensus though, one with which I whole-heartedly agree, is that while it is a difficult read, it is one that must be read. One of my favourite professors of creative writing at my undergraduate college once instructed the class not to write a story that has never been told, since that’s nearly impossible given the amount of writing already in the world. Instead, we were taught to tell a story in a way that it has never been told before. In theory, I understood this advice, but it didn’t truly click until reading A Girl is a Half-formed Thing. 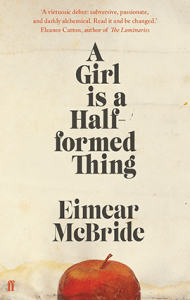 At its core, Eimear McBride’s debut novel is the story of a girl growing into young adulthood in Ireland while struggling with her sexuality, complex relationships with various members of her family, and her older brother’s harrowing recovery from a childhood brain tumour. The trials faced by the narrator are not new topics in literature, but the way McBride tells the story is incredibly unique. A combination of stream of consciousness narration, prose poetry, and textual impressionist painting, the broken sentence fragments take some time to settle into your brain, but within a few pages, the unnamed narrator’s voice is so clear that there’s little trouble determining the speaker or the events unfolding. A Girl is a Half-formed Thing is a challenging, knotty read that demands your full attention, but it’s hardly a chore to completely turn yourself over to it. The story alone is packed with genuine emotion, often disconcerting and even heartbreaking, but it’s the lyrical approach to narration that moves this prize-winning novel beyond simply a wonderful story to a breathtaking piece of art. 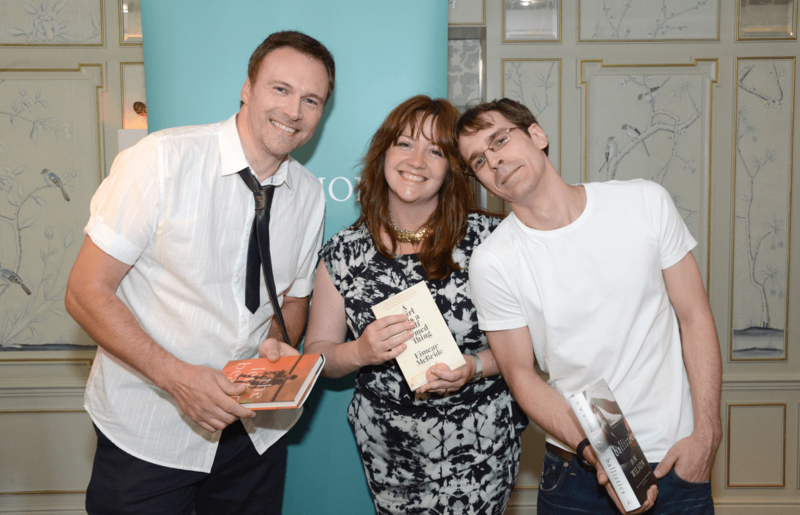 “Debut fiction is the bravest, most exciting and purest form of the art,” declared judging panel chair Chris Cleave at the Desmond Elliott Prize ceremony last Thursday. The passion for debut novels and their importance in the world of fiction was tangible in Fortnum and Mason’s lovely Drawing Room as we eagerly awaited the announcement of the prize’s seventh winner. The short-list was comprised of Ballistics by D.W. Wilson, author of two short story collections; The Letter Bearer by Robert Allison, author of an absolute stack of history books; and Eimear McBride’s A Girl is a Half-formed Thing, her first published work. 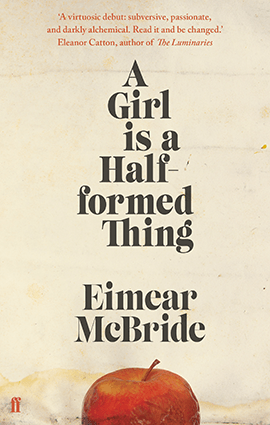 A Girl Is a Half-formed Thing continued its incredible year by adding The Desmond Elliott Prize to a pile of awards which already includes Goldsmiths Prize, Folio Prize, Bailey’s Women’s Prize for Fiction, and Kerry Group Irish Fiction Award. After nearly a decade of rejections, A Girl Is a Half-formed Thing was picked up by Galley Beggar Press, an independent publishing house in Norwich, and proceeded to take the literary world completely by storm. The Desmond Elliot Prize is doing incredible promotion for debut novels, but there’s simply no such thing as too much good press, and Cleave knows the best way to obtain it. “Publishers are much less able to take risks on unconventional first novels, so I believe that it is now up to established authors to seek out, champion and amplify the best new voices,” he stated. As someone just getting a foot in the door of the publishing industry, I hope that I will be able to watch the world of literature grow thanks to writers such as McBride, Wilson and Allison offering a hand to authors in the difficult position of being undiscovered amongst countless other titles as they once were. Further information on the Desmond Elliott Prize for new fiction can be found here.